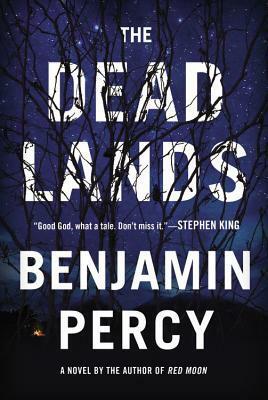 The Dead Lands is at its core a story of survival in the face of apparently insurmountable obstacles – survival not just of a few individuals, but of humanity itself. The story starts out in Sanctuary, and then hops back and forth between there and the group of escapees who have set off in the hopes of discovering something better. Each member of the scouting party has his or her own personal reason for fleeing Sanctuary. For some, the struggle with their decision to leave causes them almost as much grief as the monsters, inhospitable climates, and other people they meet along the way. This book had both the horror-road-trip feel of The Talisman, by Stephen King and Peter Straub, and the find-other-survivors-and-keep-the-human-race-going vibe of The Passage, by Justin Cronin. (Both of which I highly recommend if you have not already read them!) It was a suspenseful, thought-provoking tale and I really enjoyed it. I do think that the way the story wrapped up, there might be a possibility of a little more Lewis and Clark (not to mention Gawea) in the future. I’m not sure that’s what the author was getting at, but I can hope….